The Font of Knowledge: The Bible shows the way to go to heaven, not the way the heavens go. This review was written in December 2004 and amended in January 2005. This paperback is described as “completely unputdownable” by a reviewer. If for no other reason but as the story of one of the world’s great geniuses, it is certainly essential reading for those seeking a knowledge of European history, the role of the Vatican and the march of science. Sobel uses the correspondences between Maria Celeste Galilei, the older daughter of Galileo Galilei, to her father as the background to the lifetime and achievements of Galileo himself. Galileo never married but had three children, two girls and a boy, by Marena Gamba who subsequently married somebody else! 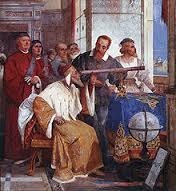 Galileo was born in 1564 and died January 1642. His two daughters entered a convent near Florence where they were incarcerated largely because of their illegitimacy. The boy Vincenzio was legitimised by the Grand Duke of Tuscany in 1619, having been born in 1606. The book gives a good background to life in Northern and Central Italy during the late 16th and early 17th Centuries. It underlines the huge influence of the Vatican in the political, social and spiritual life of the people. Life was cheap then thanks to recurring epidemics of plague and to various other ill defining fevers which must have included malaria, TB, typhoid, smallpox and other less common infections. Galileo was not immune and suffered many illnesses and disabilities during his lifetime. Although he lived to the age of 78, many others included in the elaborate family tree published in the book failed to reach the age of 50. Whilst the book is a detailed account of the relationship between Galileo and his older daughter, the substance of the book portrays what a remarkable person Galileo was at a time when the world was guided largely by superstition and tradition, and when there was little evidence of a scientific approach to natural phenomena. Galileo might well have been a 20th Century scientist with all the energy, the insights, the serendipity and the enquiring mind of one of our leading inventors. He was first noted for his major advances to the telescope which allowed him to see into space to study the stars and he invented many other useful gadgets and made huge contributions to the knowledge of astronomy and of the physical phenomena of motion and of measurement. He remained a fervent Catholic all his life but was probably one of the first to disagree with the Church’s dogma that scripture determined the form and the function of the natural world and that anything which was contrary to scripture was a form of heresy. 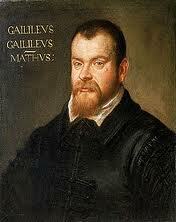 The critical situation facing Galileo was the question of the centrality of the earth in the Universe. 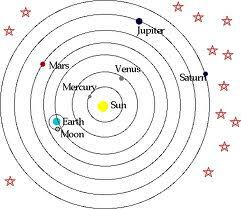 Copernicus had published the view that the sun was the centre, at least of the planetary system, although he provided no definite proof of such a concept. Indeed, far back in Greek and Egyptian times the centrality of the earth was doubted by some observers. Galileo went further than Copernicus by providing some astronomical evidence to confirm the centrality of the sun, but his views were to lead him into serious trouble with the Vatican and particularly with his old friend Pope Urban VIII who became his implacable foe on the issue. Galileo’s challenge to scripture was totally unacceptable to His Holiness. 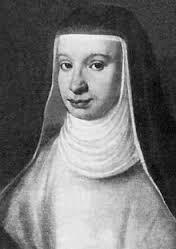 who had previously been Masseo Cardinal Barbini and had been a long-term admirer and supporter of Galileo. It was in 1622 that Barbini succeeded Gregory and adopted the title of Urban VIII, Before his elevation to the Papacy he had been very concerned about the Reformation and about counteracting the loss of the faithful in Germany and Switzerland. Galileo reminded him that part of their reluctance to return to the Church was the Church’s conservative views about Copernicus and his own views in relation to the centrality of the earth. 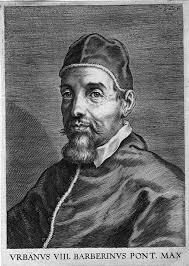 This appeared to increase Barbini’s interest in Galileo’s proposition and it is difficult to understand why, after he had become Pope, he became so implacably opposed to Galileo and his advanced views of the world’s real ralatiohship with the solar system. Clearly when Urban VIII became so implacably opposed to Galileo he must have been influenced by some of Galileo’s enemies. Like all innovators and advanced thinkers, Galileo had many enemies, both within the clergy and among the less enlightened laity, including some resentful and jealous colleagues. While he met much opposition and bitterness in his own country, his work was greatly admired and accepted by scientists in Holland, Germany, Switzerland and the more advanced and less bible committed countries. Despite Galileo’s strong conviction about the centrality of the sun he was obliged to renounce his views some years before his death. He was forbidden to write or teach on the subject. He was virtually treated as a house prisoner during the rest of his days after he had been sentenced by the Vatican’s Inquisition. He had much covert support, even from Churchmen and Church leaders in Italy and particularly from scientists abroad. It was a classical case of the reluctance of most people to accept his revolutionary views, views which lead to denial, insecurity and hostility amongst many of those who became his critics and his enemies. He was isolated from the public to an extraordinary degree during his lifetime in Italy but his life was made tolerable by the loyalty, support and sympathy of friends and colleagues. His greatest support was his daughter Maria Celeste who, from her enclosed convent and through her frequent correspondences, sustained him with her love, compassion and her advice up to the time of her own tragic death. It may seem a step from the sublime to the ridiculous when I recall my own experience of denial, indifference and hostility during my own professional career. On the one hand I was almost alone on these Islands in the 1960s in advocating risk factor identification and modification as a rational basis for the treatment and rehabilitation of coronary patients, while the rest of my cardiological colleagues confined their treatment regimes to drugs, surgery and angioplasty. It is only in recent years that cardiologists have begun to pay attention to the fundamental need to seek out causes of arterial disease and to deal with such causes vigorously, not only in the healthy population but also in patients who suffer from coronary disease. The same indifference and covert hostility was evident among my colleagues during the early years when I was advocating in public the importance of cigarette smoking control, healthy nutrition and the value of exercise in maintaining physical and psychological health. We have seen over the past 50 years or more huge advances in diagnosis and treatment but at the same time we have seen an excessive emphasis on therapeutic and invasive intervention and a general neglect of causation and of a natural approach to prevention and to encouraging the healing powers of nature by natural means.